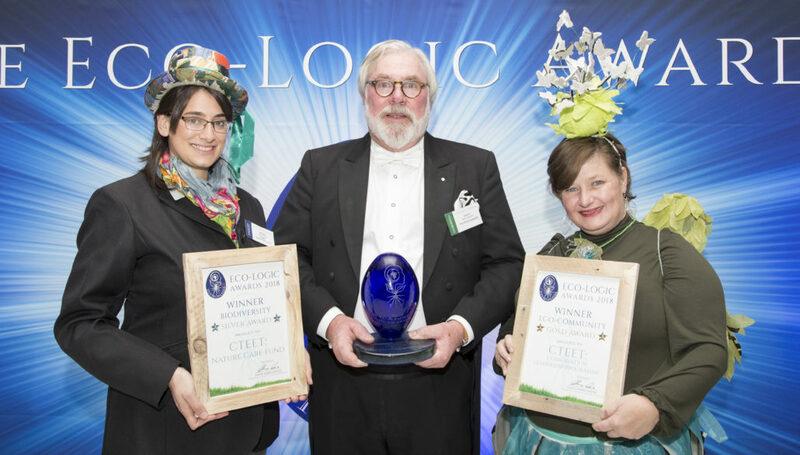 The Eco-Logic Awards identify individuals, organisations and communities that positively contribute towards a sustainable world. The Enviropaedia established the Annual Eco-Logic Awards in 2011 and these Awards have since grown into South Africa’s most Glamorously Green eco-calendar event, receiving extensive TV, radio, print media and online coverage. Each year, they invite individuals and organisations to submit their eco-logical products, services, projects or initiatives under 13 environmental categories to be evaluated by a panel of highly respected and environmentally aware Judges. Finalists are invited to join an exclusive group of Green VIP’s and thought leaders at the annual Eco-Logic Awards Gala event. This year, the Gala was on World Environment Day, 5 June and CTEET was invited to attend. 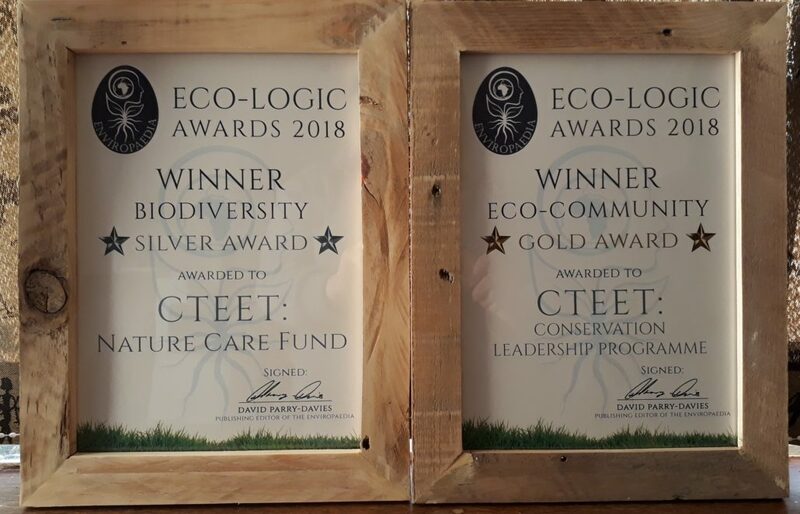 We were honoured to receive two awards on the evening! We received second place for our conservation work through the Nature Care Fund. But the highlight of the evening for us was to win the Eco-Community Award, for our Conservation Leadership Programme. It is wonderful to be awarded for our work with Cape Town’s youth and our Education and Training Manager, Louise, summed up the feeling by saying, “It is so special to be recognised in this way, these awards are such a stamp of approval. They are showing us that we are on the right track with our work and mission of changing lives through nature”. 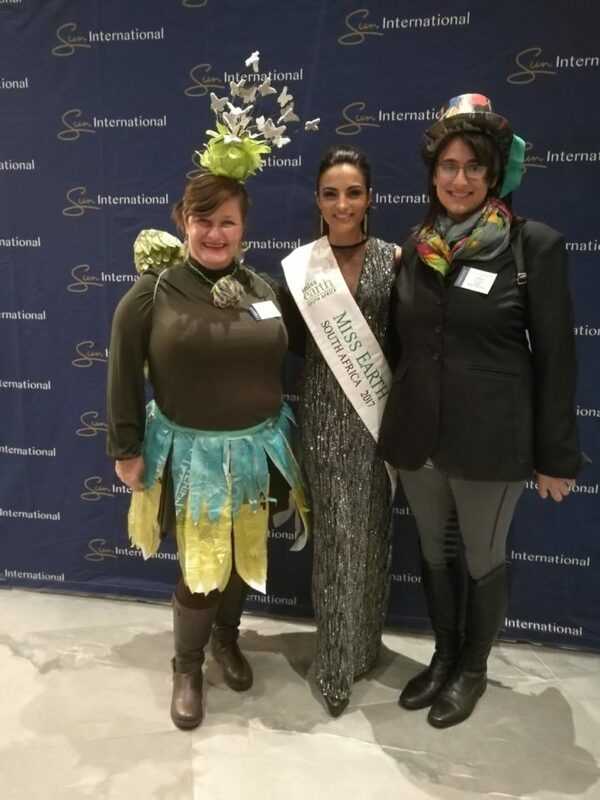 It really was a Glamorously Green, sparkling event and a wonderful opportunity to network and be inspired by partners and friends who are all working towards a sustainable world. Congratulations to all Winners and Finalists!